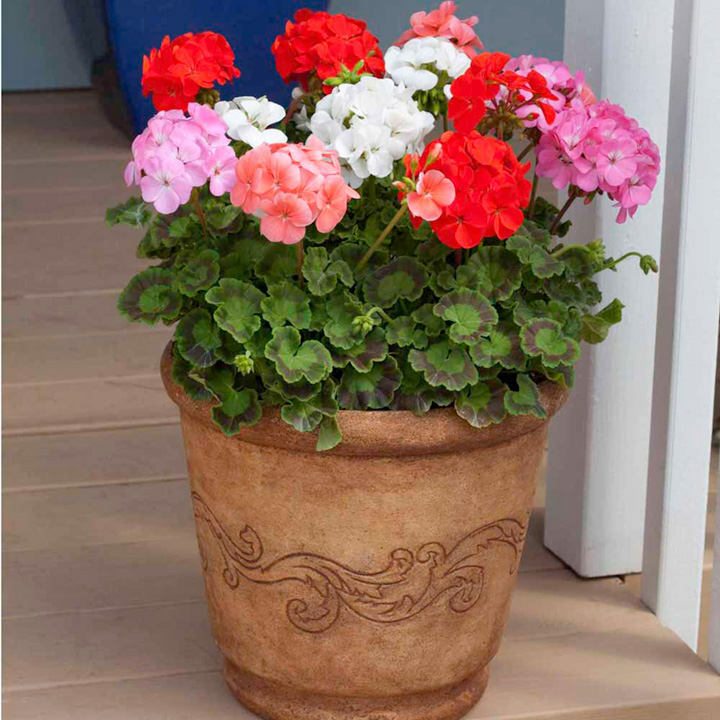 An outstanding choice for bedding or patio containers. The mixture includes all the traditional bright geranium colours, many of which also feature attractively zoned foliage. Height 30cm (12"). The bedding geranium! Not quite up to the standard of F1 hybrids – but it would take an expert to tell it! British bred, these vigorous plants have a bushy habit so can be planted further apart – meaning you need less to fill a border. Suggested planting distance 38cm (15”). Always reliable in good or bad weather and drought resistant. 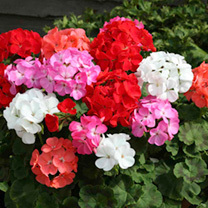 A great choice for bedding or equally at home in baskets or containers. Sow December-early April indoors for flowering June onwards to the autumn frosts. Ideal for beds and borders, patio pots and containers. Drought resistant. Prefers full sun.